Pop Ambient Returns…And Beyond The Usual Anticipation, For A Cause. 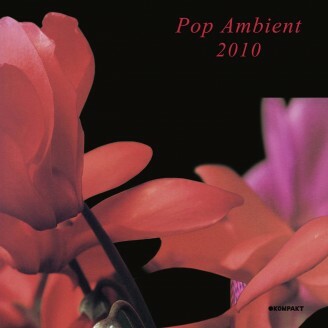 We Celebrate A Decade Of Annual Bliss With Pop Ambient 2010! Certainly A Cornerstone Of The House Of Kompakt And Early Awaited By Followers Alike. Newcomers May Ask - So What Is Pop Ambient? A Genre? Possibly. A Statement Of Musical Mindset? Absolutely! Pop Ambient Was Conceived By Kompakt Co-Owner And Producer Wolfgang Voigt And Remains A Collection Selected And Curated By Voigt. Pop Ambient Remains An Ambitious Entity Of Kompakt That Certainly Draws Influence From His Legendary Gas Recordings Of The Late '90'S . The Musical Context Often Characterizes Densely Layered Ambient Soundscapes That Are Not Concerned With Beats, Percussion Or Basslines. Throughout Pop Ambient's Editions, The Music Has Evolved Ever So Naturally - Almost Characterizing The Blossoming Of The Floral Arrangements That Have Graced The Series Covers Year After Year. Marsen Jules (Of City Centre Offices Fame) Delivers A Dramatic Entrance To This Collection Of Exclusive, New Music. Brock Van Wey/Bvdub Is Welcomed To Pop Ambient - Behind The Tremendous Quietus Imprint, He Joins Us With Two Contributions That Relay His Ability To Harmonize Ethereal Vocals And Guitar Picking Into An Emotive, Sonic Embodiment. Kompakt Brother In Arms, Jörg Burger Aka Triola Takes Us On A Walk Through The Infamous Cologne Schildergasse Shopping District. The Sound Of The Street Mingles With Triola's (Now) Classic Flute Treatments Weaving A Soothing, Warm Blanket To Help Make Your Way Through The Vacant Shoppers. Wolfgang Voigt Makes A Rare Appearance Under His Real Name. The Title “Zither Und Horn” Is Simply Stated, However The Tune At Hand Is One Of The Most Complex In This Collection. Sure To Surprise The Die-Hard Voigt Fans, The Track Unions Two Classic Instruments Masterfully Drawn Under The Lather Of A Harmonized Sine Wave Note. New Zealand's Andrew Thomas Will Celebrate A New Full Length On Kompakt This Spring But We Are Treated To A New Song That Resonates The Crackles And Murmurs Of A Deep Flowing River Winding It's Way Through His Country's Lush, Green Valleys. Our Anniversary Would Not Be Complete Without A Tune From The Orb - These Legends Reminisce The Days Of Old With A Unique Sonic Platter That Interweaves In All The Right Places. Mikkel Metal Leaves His Dub Trademark In The Background, Opting To Deliver A Lovely Reflective Piano Based Piece. The Swahimi Aka Dj Koze Leaves Us With No Disappointment - His Uncanny Fluidity Flutters Magnificently With Piano And Strings. Kompakt Co-Owner And Favorite, Jürgen Paape Makes His Pop Ambient Debut Appearance With An Ambient Version Of The Total 10 Favourite Schlager Fuelled Tune - Ofterschwang - Flipping The Original 180 Degrees Around Into A Highlight Moment Of Pop Ambient 2010. In Every Way He Created A Classic Cologne Tune That Will Resonate With The Die Hard Fans - Blissfully Produced With The Horns Of Heaven Chorusing To The Earth. Now For The Big Moment…The Return Of Dettinger!! A Mystery To Many And One Of The More Elusive And Most Crucial Artists That Helped Establish Kompakt In It's Infancy (He Released The First Full Length On The Label - “Intershop”). Dettinger's Signature Sound Resonates Throughout The Course Of Kompakt's Releases To This Day. A Purveyor Of The Pop Ambient Movement And A Shining Return With His First Original Song In Nearly A Decade. “Therefore” Shimmers Like The Sun After A Summer Rain And Leaves You Anxious For More…We Hear It Will Come So Stay Tuned! Thomas Fehlmann (Of The Orb) Contributes As Stunning Roller That Flitters Backwards And Forwards With Delicate Keystrokes Keeping The Mingle In Balance. And, Cologne's Compadre, Popnoname Returns With A Tribute To A Lovely Venue, Deutzair - Sentimental Synthetic Euphoria That's Simply Transcendental . We Say This Every Year But Pop Ambient 2010 Is A Defining Moment For The Series - A Change In Pace But A Familiar Face For Those That Have Been Yearning For Our Annual Remedy. Enjoy.